Did you know that two kiwifruit have more vitamin C than an orange and as much potassium as a banana? And, SunGold, a new variety of kiwifruit with tangy, tropical flavors, has four times the USRDA of vitamin C in one fruit. Kiwifruit are nutritional powerhouses and are also a great source of micronutrients like Vitamin E and antioxidants. They’re high in fiber, have a low glycemic index, and two fruit have fewer than 100 calories. An infograph highlighting the many nutritional benefits of kiwifruit can be viewed and downloaded at zesprikiwifruitmediakit.com. Along with the infograph, you’ll find tasty recipes, a news release, product fact sheets and downloadable images. 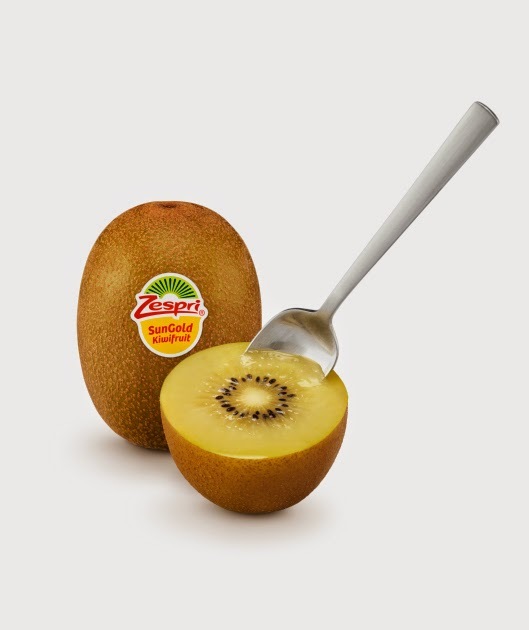 Zespri® Kiwifruit are available in the United States and Canada for a limited time, from June through October. 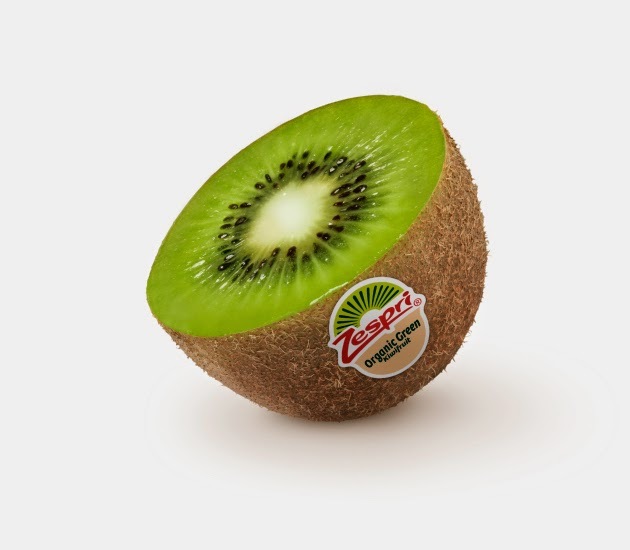 Article provided by Zespri® Kiwifruit. I'm excited because this is my very first giveaway! The Cherry Marketing Institute sent me a tart cherry gift basket filled with a bag of Michigan dried tart cherries and a bottle of tart cherry concentrate. Cherries are my favorite fruit, so I'm pretty happy. One of my readers will also have a chance to win a tart cherry gift basket! 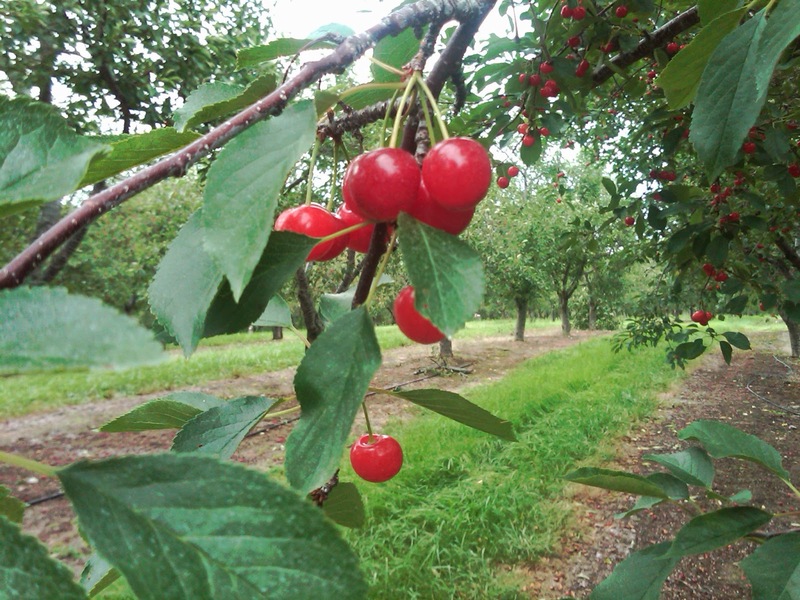 A few years ago, The Cherry Marketing Institute invited me to attend an educational cherry immersion event in Traverse City, Michigan - The Cherry Capital of the World. The Cherry Marketing Institute (CMI) is a nonprofit national promotion organization that's funded by U.S. tart cherry growers. Tart or sour cherries are recognized as the key ingredient in decadent desserts, but their potential health benefits are promising! There are over 1,000 varieties of cherries, but the two main types are sweet and tart. Both sweet and tart cherries are high in antioxidants, magnesium, potassium, iron, folate and fiber. However, tart cherries have been found to contain more beta carotene, vitamin C and anthocyanins. Anthocyanins are powerful antioxidants and the pigments responsible for the bright red color of cherries. If a fruit or vegetable has color, then anthocyanins are present. Tart cherries are the richest source of anthocyanins 1 and 2, which may reduce inflammation associated with heart disease, arthritis, and assist with muscle recovery after strenuous exercise. Anthocyanins may also inhibit the growth of colon cancer tumors. Fresh tart cherries are very delicate, so they're rarely shipped fresh. Therefore, the cherries are frozen, dried or made into a juice or concentrate. Cherries May Help Relieve Muscle Pain Associated with Exercise! Oregon Health & Science University discovered that tart cherry juice may relieve muscle pain and inflammation associated with running. Runners who drank 10½ ounces of Montmorency tart cherry juice twice a day for a week before their race and on the day of their race had considerably less pain than runners who used a placebo. The researchers concluded that tart cherry juice may be being a safer way to treat muscle pain and inflammation than over the counter pain relievers. The University of Texas Health Science Center found that tart cherries contain substantial levels of melatonin, an antioxidant. Melatonin may help regulate sleep and maintain the body’s circadian rhythm. Melatonin has also been said to fight jet lag and may even prevent cancer. Since the body contains melatonin in very small amounts, even a slight increase in melatonin can have very promising results. - Dried tart cherries are delicious in salads, quinoa, yogurt or on top of your oatmeal. - Mix dried tart cherries into low fat muffin or bread batter. - Create your own granola or trail mix with dried tart cherries. - Add an ounce of tart cherry concentrate to your water or sparkling water, or in your next smoothie, for a refreshing drink full of antioxidants. The Cherry Marketing Institute generously sent me 2 gift baskets, so a Nutritious Feast reader will win a bag of delicious dried tart cherries and a bottle of concentrated tart cherry juice! Enter through the Rafflecopter form below. All entries are optional, but you'll have a better chance of winning if you submit more entries. A random winner will be chosen on or around August 9th! Good luck! The content of Nutritious Feast is for informational purposes only. Any information listed on this site is not intended to diagnose, prevent, treat, or cure any disease. This blog contains thoughts, opinions and links to other sources of information. Before making any major changes to your diet or exercise routine, you should consult your physician.